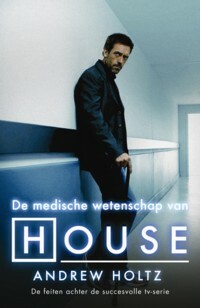 Season 8 of House premieres tonight in the United States. While the show is often loads of fun, the fates of patients on this and other TV medical dramas is often not the kind of "happily ever after" we tend to believe define Hollywood Endings. In sharp contrast to the common belief that things work out better in fiction than in reality, a recent survey of hospital patients on TV shows found quite the opposite. That's what communication researcher Amir Hetsroni, Ph.D., discovered when he compared the fates of hospitalized patients on TV to the death rates reported for real US hospitals. The finding that TV patients are far more likely to die than real patients is the opposite of what most people believe. After all, a “Hollywood ending” is supposed to mean that the characters surmount monumental challenges, that they succeed against all odds, and that everyone lives happily ever after. Even communication researchers have long accepted that view. “This is what you are raised on when you study communication at a university, for instance, that TV is a very, very ‘Goody Two Shoes’ place, a very, very nice world where nothing bad happens, nothing that cannot be resolved within a 45-minute episode. And currently the situation is pretty different,” Hetsroni says. So be thankful you aren't likely to wake up on a ward in the Princeton-Plainsboro Teaching Hospital or Seattle Grace Hospital!